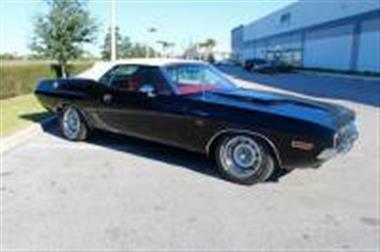 1970 Dodge Challenger in Sarasota, FL for sale. 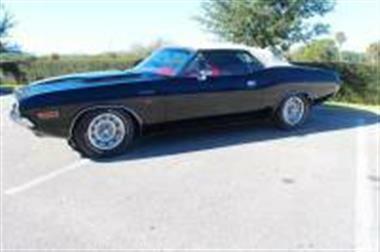 1 of 692 R/T Challenger Convertibles built in 1970. Real deal, original color combination of black on red with a white top, complemented by factory spec side stripe delete, 383 motor, and a 727 slap stick. This is a 1 of 1 in the Govier Registry with this configuration and that isnt quite as surprising when you learn that there are only 7 black ones known to still exist. Purchased new at Stetler Dodge in PA, this is simply an incredible color combination that sets the iconic e-body shape off in a dramatic way. 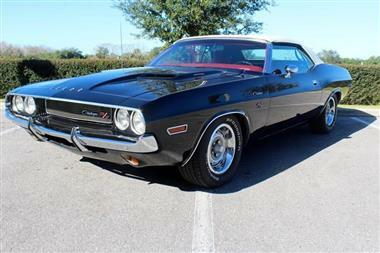 Chrysler only produced R/T Challengers for a single year so real R/Ts are very hard to find. 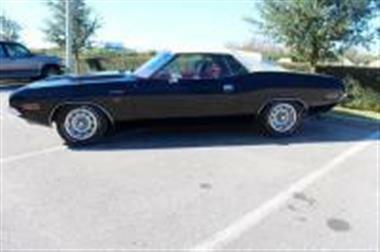 Numbers matching rebuilt 383, 727 automatic, power top, light package, power front disks, power steering, rallye gauge cluster, rim blow steering wheel, race gas filler door, posi-traction rear end, bucket seats, AM 8-track radio. 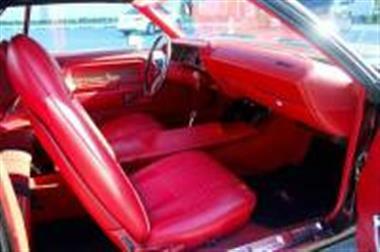 Includes original owners manual, original fender tag, and original owners photos. 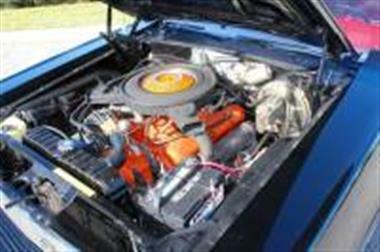 E-bodies are one of the most sought after blue chip muscle cars on the market today. Dont miss this one in one of the very best color combinations weve ever seen. 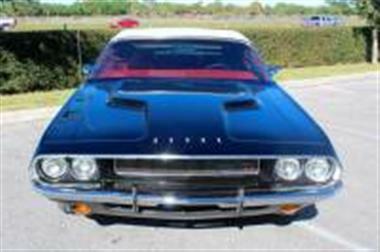 Please watch the complete video of this very rare car at www.cleanclassiccars.com we can finance this car to 72 months and ship worldwide door to door. 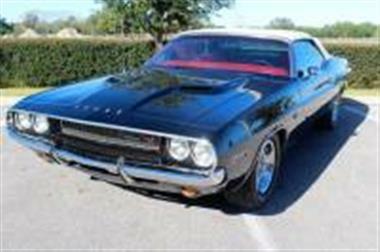 This vehicle is priced $17,379 more than the Average Market Price of $81,121 for a 1970 Dodge Challenger. This is a Poor Deal as it's priced 18.0 % above market avg. The Pie chart below shows the number of ads within different price ranges.